The beautiful department of Dordogne is situated in the south-western part of France, in the region of Aquitaine. Besides the natural beauty which characterizes the landscapes, the department is well-known among visitors for its wonderful castles. If you love to visit historical building like castles on your holiday, Dordogne is the right choice for you. 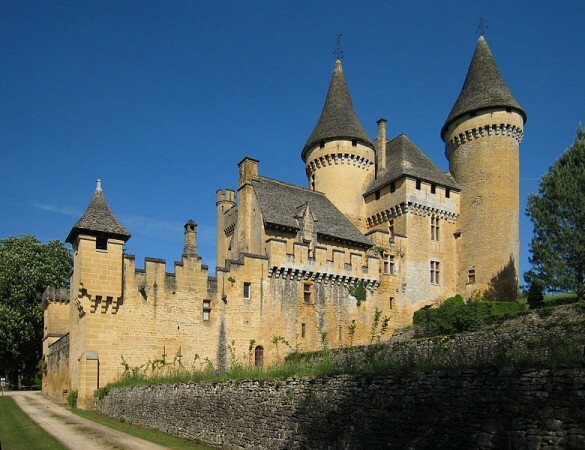 The most famous castles of Dordogne are the following: Château de Puymartin, Château des Milandes, Château de Castelnaud, Château de la Roque, Château de Hautefort, Château de Commarque and the Château de Beynac. Visit any of these will surely make an unforgettable experience, but visiting all of Dordogne’s spectacular castles is something special. The spectacular castle of Beynac is situated in the commune of Beynac-et-Cazenac. It is considered one of Dordogne’s best-preserved castles. 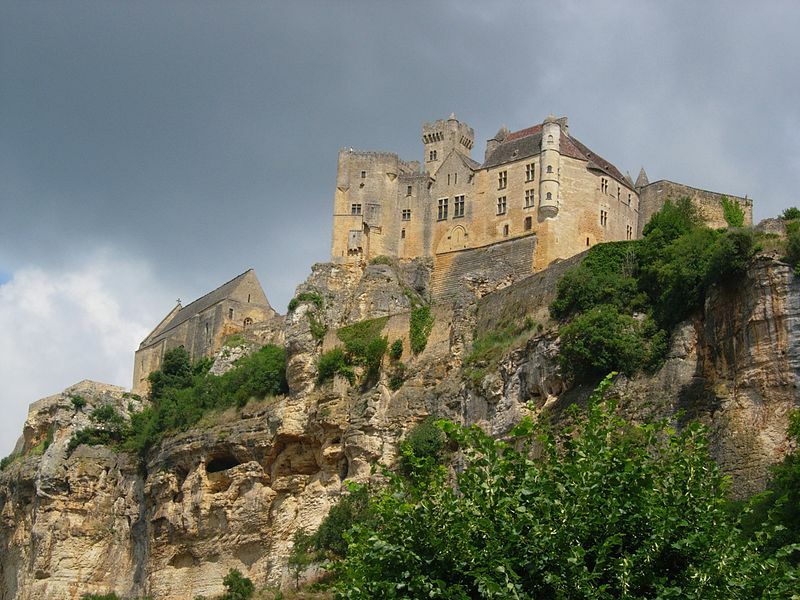 The construction of the chateau began in the 12th century on top of a limestone cliff. Thus, the landscape and view from the castle are as astonishing as the building itself which includes magnificent tapestries. Situated in the commune of Marquay, the amazing 13th century castle is another spectacular historical building in Dordogne. It has been restored during the 19th century in neo-gothic style. Château de Puymartin is a historic monument today. A small, but not less spectacular castle in the department of Dordogne is the Château des Milandes. Built in the 15th century, the castle is a historic monument today. It is famous for being the resident of the famous dancer and singer, Josephine Baker during the 1940’s. The medieval fortress of Castelnaud stands opposite the Château de Beynac, in picturesque setting. Being also a historic monument, the castle is a private property, but it is open to the public. It houses a very popular museum which contains exhibits relating to medieval warfare. Situated in the town of Hautefort, the fascinating castle is as astonishing as its gardens, including a landscape garden, topiary gardens and flower gardens. 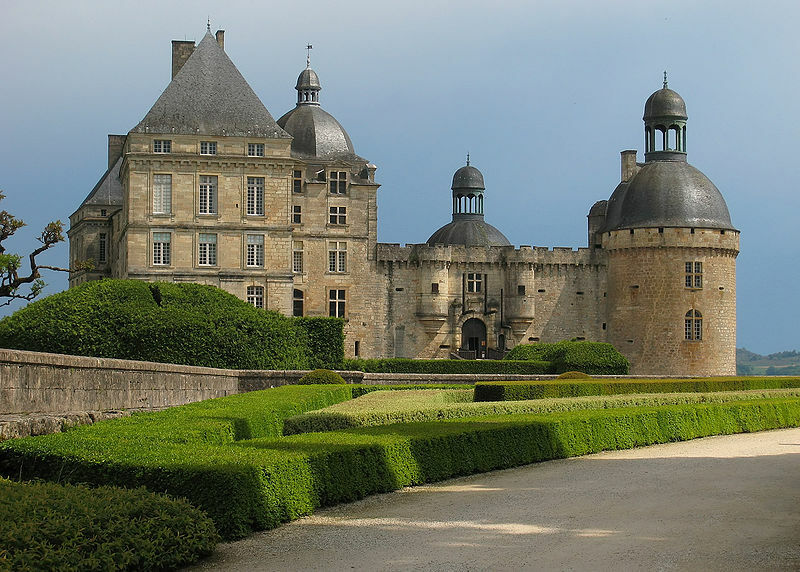 The Château de Hautefort was rebuilt during the 17th century when the major part of the gardens was added. A visit to this amazing castle is with no doubt a unique experience. Built in the 12th century, the Château de Commarque is set in a picturesque valley. It is a well preserved medieval building, being restored in 1994. Just like the previously mentioned castle, it is also a historic monument. Besides the preservation of the castle, there is another attraction: a prehistoric cave situated under the building.